ALLAN, Sir HUGH, shipping magnate, railway promoter, financier, and capitalist; b. 29 Sept. 1810 at Saltcoats (Strathclyde), Scotland, second of five sons of Alexander Allan and Jean Crawford; m. 13 Sept. 1844 Matilda Caroline Smith, and they had nine daughters and four sons; d. 9 Dec. 1882 at Edinburgh, Scotland, and was buried 27 December in Montreal, Que. Hugh Allan was born into an Ayrshire family with large shipping interests. From the early 1800s his father and older brother, James, operated vessels on the North Atlantic between Glasgow and the St Lawrence. After a parish-school education in Saltcoats, Hugh at age 13 began working in the family’s Greenock counting-house of Allan, Kerr and Company. He immigrated to Montreal in 1826 and clerked with grain merchant William Kerr until 1830, when he embarked on a “grand tour” that included Upper Canada, New York, a return to his native Scotland, and his first visit to London. In April 1831 Hugh returned to Canada and after meeting James Millar*, a fellow Ayrshireman who may have acted as Alexander Allan’s Montreal agent, became commission agent in Millar’s general merchandising firm of Millar, Parlane and Company, one of Montreal’s leading importers. Participating in several areas of the firm’s operations (including shipping, shipbuilding, and purchasing grain from local merchants), Allan advanced rapidly in the company and, as was so often the case in the Montreal merchant community, the primary catalysts in his success were family connections, social bonds, and access to capital. In 1835 the company was reconstituted as Millar, Edmonstone and Company; Hugh was named a partner and with his father’s assistance quickly helped expand the firm’s shipping operations. The next year the company acquired the 214-ton barque Thistle, the first vessel in what was to become one of the largest merchant fleets on the North Atlantic. Several other vessels, built by Montreal master shipwright E. D. Merritt, were added over the next two years, including the Alliance, a 434-ton steamer for the Montreal–Quebec City run, which probably also towed the firm’s sailing ships through the difficult Sainte-Marie current to the Montreal harbour. A large portion of the capital required for this expansion was supplied by mortgages held on these ships by Allan’s father and brothers in Scotland. Most of the early ships, such as the Gypsy, Blonde, and Brunette, were ocean-going but Allan, recognizing the advantages of uniting river and ocean transportation, began building small schooners for use on the St Lawrence: with this dual capacity and the general improvement in the St Lawrence valley economy the company’s business expanded rapidly. By the mid 1840s the firm controlled 5 to 12 per cent of the total ocean-going trade of Montreal, bringing trade items such as pig-iron and soap from Glasgow and carrying Canadian wheat to British markets. The addition of the Albion, Caledonia, Montreal, Amy Anne, Toronto, Canada, and Favourite to the fleet for both river and overseas traffic gave Edmonstone, Allan and Company (as the firm was renamed in 1839) the largest shipping capacity of any Montreal-based firm. In 1848 it had a capital of £30–40,000 and two years later was described by a credit-rating service as an “old safe & [respectable] House.” Its business increased by 25 per cent in 1851 and it maintained a network of agents as far west as Brantford and London in Canada West into the 1850s. By 1859 Edmonstone, Allan and Company, “one of the Wealthiest concerns in the Province,” was known for its responsible management, its links to trading houses in London, Liverpool, and Glasgow, and the spreading of its owners’ influence into allied shipping, railway, and banking concerns: it was “as good as a Bank,” and run by “active, pushing” men. The firm continued as one segment of the intricate shipping interests of the Allan family and in April 1863 became H. and A. Allan. Even by the early 1850s Allan’s shipping ambitions had been outstripping those of William Edmonstone, his older partner. As president of the Montreal Board of Trade (1851–54), Allan advocated the establishment of a government-subsidized, regular steamship line between Montreal and British ports. 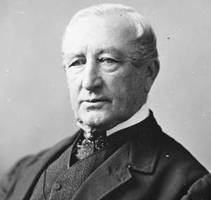 Such an enterprise, he argued, would not only provide regular mail service but would also benefit Canada by increasing the number of immigrants and by protecting her exports and imports which many contemporaries believed were threatened by the American Drawback Laws of 1845–46. The deepening of the St Lawrence ship channel through Lac Saint-Pierre to 16 feet in 1853 made possible the inauguration of this service. But, though Allan took the initiative as official head of the Montreal business community and personally as an entrepreneur, there was keen competition. 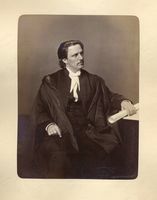 Samuel Cunard* expressed interest, as did a consortium formed in 1852 (including Thomas Ryan, Luther Hamilton Holton*, and James Blackwood Greenshields of Montreal along with the Liverpool firm of McKean, McLarty and Lamont). At the same time, expecting to secure the contract, Allan raised capital from his family (including his younger brother Andrew*) and Canadian investors such as George Burns Symes*, William Edmonstone, Sir George Simpson*, William Dow*, John Gordon McKenzie, Robert Anderson, and John Watkins, and formed a rival syndicate. Despite its Canadian investors, the syndicate was an international enterprise based on careful family management on both sides of the Atlantic: Andrew had immigrated to Montreal in 1839 to join Hugh while two other brothers, James and Bryce, handled business in Greenock and Liverpool. Despite Allan’s lobbying and his powerful position in the Montreal commercial élite, the rival consortium, incorporated as the Canadian Steam Navigation Company in 1853, was awarded the first government subsidy of £24,000 for the Montreal-Liverpool run, which began that year. The shortcomings of this firm were obvious almost immediately, however, and Allan decided to utilize new technology (steam, screw propellors, and iron hulls) in his continuing attempt to capture the contract. Instead of building ships in Canada as Edmonstone, Allan and Company had done in the 1840s, Allan’s syndicate commissioned two fast and powerful steamers, the Canadian and the Indian, from Clyde shipbuilders late in 1853. On 18 Dec. 1854 the syndicate was incorporated as the Montreal Ocean Steamship Company and in 1856, with the help of Conservative politicians such as John Rose, George-Étienne Cartier*, and Lewis Thomas Drummond, it finally secured the contract, and the £24,000 subsidy, to provide regular fortnightly steamship service between Montreal and Liverpool during the summer season and between Portland, Maine, and Liverpool from November to May. By 1859 service was on a weekly basis and Allan reported his capital investment in the company at £3,500,000. Royalty was of course only the cream of Allan’s business; his ships also carried immigrants, troops, the mail, wheat, and general cargo. Like most shippers to Britain, Allan profited from that country’s wars in Africa and the Crimea. 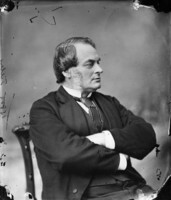 In 1862 the British secretary for war, Sir George Cornewall Lewis, brought suit against Allan for “exorbitant” and “enormous” charges in conveying military baggage at rates at least five times those of other carriers. Allan responded in a “rough” and “overbearing” manner, seizing the baggage until the case was settled. The transport of immigrants was a company specialty. In the 1850s for a fare of £3 10s. passengers travelled in steerage and provided their own food, although like most companies Allan’s carried “a good supply of biscuits.” By the 1870s the Montreal Ocean Steamship Company (popularly known as the Allan Line) had a government contract for the conveyance of “assisted passengers.” The firm’s promotional literature noted that indigent passengers would receive free Grand Trunk rail passes from the government and assured immigrants that “Canada is a cheap place to live in” where even the poorest could have “the confident hope” of becoming a landowner. The captains guaranteed a “religious, sober but cheerful atmosphere” on their ships, and female steerage passengers were provided with stewardesses and assured of the strict separation of the sexes. Less reassuring were the company’s six-shilling “steerage passenger kit,” which included “a patent life-preserving pillow,” and the fact that death regularly occurred among passengers. As Allan’s transatlantic trade in immigrants, manufactured goods, and natural resources expanded he was forced to look to North American railways: an ambitious steamship-fleet owner preferred not to leave major supply routes to the vagaries of competition. Although by the early 1870s Allan had become Canada’s most flamboyant railway entrepreneur, he had moved slowly into railways. He had stock in the Champlain and St Lawrence Railroad in 1851 and lost heavily in Detroit and Milwaukee Railway stock, but he was not an important promoter until the significance of the Grand Trunk Railway’s monopoly became apparent. Coinciding with Allan’s disenchantment with the Grand Trunk was the Canadian government’s commitment to build a railway to British Columbia. By 1870 his lieutenants had appeared on railway boards with charters to build west. 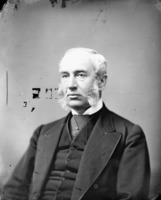 Constructing its line west from Ottawa, the Canada Central Railway had Allan’s lawyer, John Joseph Caldwell Abbott*, as its vice-president in 1870. 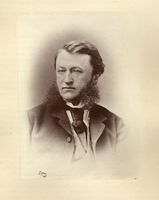 Another of Allan’s agents, Louis Beaubien*, was the major promoter of the Montreal Northern Colonization Railway of which Allan became president in 1871; purportedly a local railway to transport firewood from the Laurentians to Montreal the road had a flexible charter permitting connections to the Canada Central Railway. Capitalizing on the French Canadian colonization movement and support from priests such as François-Xavier-Antoine Labelle*, Allan’s railway benefited from generous laws and financial guarantees from the provincial government, municipal subsidies from most communities along the route, and a $1,000,000 subscription from the city of Montreal. For a short period three of Allan’s associates (John Hamilton, Abbott, and Beaubien) were directors of the North Shore Railway which was to join Quebec City with Montreal. Allan also owned half the stock in the proposed Ontario and Quebec Railway which would link Toronto and Peterborough to the Ottawa valley line. These railways would funnel trade to the port of Montreal and could be integrated into a major trunk system to the Pacific. He was also on the incorporating boards of two railways in the Maritimes: the Eastern Railway (1870) and the Northern and Western Railway (1871–72). 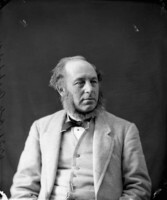 His experience with government contracts, his connections with prominent Conservatives such as Sir John A. Macdonald*, and his reputation as a leading employer and model citizen in Montreal made Hugh Allan, probably Canada’s most important capitalist by the 1870s, a logical contender for the Pacific contract. It was the minister of finance, Francis Hincks, who in August 1871 told Allan that Northern Pacific Railroad backers in the United States led by George William McMullen and Charles Mather Smith were also interested in the Pacific contract. In December Allan signed an agreement with the Americans and began enticing prominent Canadians to support the syndicate he was forming. As usual, his approach was through the pocketbook. He predicted that Charles John Brydges of the Grand Trunk would join for $200,000 worth of stock and David Lewis Macpherson* for $250,000. Neither, however, did join and Macpherson, hostile to American involvement, soon established a rival, Toronto-based syndicate. In June 1872 Macpherson’s group was incorporated as the Inter-oceanic Railway Company of Canada and Allan’s as the Canada Pacific Railway Company. With a federal election called for August 1872 Allan had more luck with the politicians. 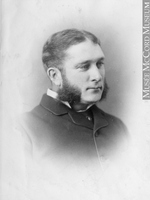 After trying unsuccessfully to unite the Ontario syndicate with Allan’s group, Macdonald left Montreal matters in the hands of Cartier and Hincks. Although anti-American and employed as the lawyer for the Grand Trunk, Cartier, in failing health, was forced to accept Allan’s terms. 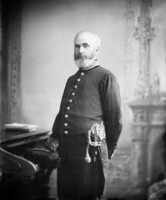 Using the influence of his clerical friends, stressing French Canadian nationalism, and alluding to the economic impact of his Montreal Northern Colonization Railway which would have its terminus in Cartier’s riding (Montreal East), Allan brought Macdonald’s Quebec lieutenant into line. Thomas White, editor of the Montreal Gazette, met with Cartier for a three-hour discussion of railway policy, and two city aldermen and four city councillors called on him at home. 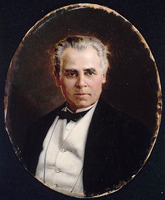 Five prominent Montrealers including Joseph-Adolphe Chapleau*, a rising young Conservative, and Charles-André Leblanc*, an old school friend, visited Cartier in Ottawa and urged him to award the Pacific contract to Allan. By 1 July 1872 Allan felt he had won over 27 of Cartier’s 45 French Canadian mps. On 30 July the politician signed an agreement drawn up by Allan and Abbott which acceded to the former’s wishes concerning the railway. Nevertheless, despite massive last-minute contributions from Allan, Cartier was defeated in Montreal East. Although the Conservatives were returned to power, Allan’s plans to build the Pacific railway came apart in the months after the election. Macdonald finally forced him to make a clean break with his American backers but the Americans, incensed at being dropped, threatened the prime minister with a public disclosure of their involvement, not only in the railway but also in the Conservative election campaign. Allan was apparently able to mollify them before he embarked for England late in February 1873 in an attempt to raise capital. The crisis seemed over. However, his lack of success with the powerful London financial houses was soon overshadowed by the disaster which was now taking shape at home. The vague yet persistent rumours of scandal that had permeated Montreal for months were about to take concrete form in Ottawa. 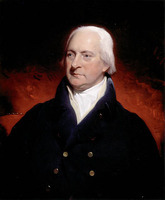 On 2 April Lucius Seth Huntington rose in the House of Commons to charge that Allan, financed partially by Americans, had purchased control of the western railway by contributing huge sums to the Conservatives. The Pacific Scandal had broken. Allan’s damning correspondence with his American backers as well as his financial manipulation of the Conservatives eventually became public knowledge and led to the collapse of the Macdonald government on 5 November. Allan himself had returned from England to testify before the royal commission on the Pacific railway. The scandal and the subsequent trimming of the project by the government of Alexander Mackenzie* ended Allan’s involvement. in the western road but his interest in other railways continued. Still active as president of the now bankrupt Montreal Northern Colonization Railway, he engineered its takeover by the Quebec government in 1875. He was active in the St Lawrence International Bridge Company and his bank, the Merchants’ Bank of Canada, continued to lend money to railways such as the Kingston and Pembroke, the Grand Junction, and the Cobourg, Peterborough and Marmora Railway and Mining Company. 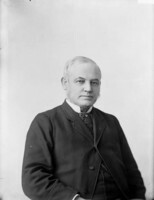 Just before his death he participated in three different syndicates, each organized to buy the Quebec, Montreal, Ottawa and Occidental Railway from the Quebec government. Allan had used some of the same tactics in trying to gain a monopoly of the shipping trade on the St Lawrence. Although himself a shareholder in the Richelieu Company, formed a generation earlier by Montreal and Richelieu valley professional men and merchants [see Jacques-Félix Sincennes*], Allan challenged it by establishing the Canadian Navigation Company to operate on the upper St Lawrence and in 1869 by buying two steamers which he threatened to use on the Quebec City–Saguenay run. In return for his promise to divert the steamers elsewhere the Richelieu Company offered him an annual “indemnity” of $4,000 for five years and free wharfage for his vessels at their Quebec City docks. He soon pressured the company on another route by selling a Canadian Navigation Company steamer to the Union Navigation Company (apparently also an Allan operation) for use in competition with the Richelieu Company on the profitable Montreal–Quebec City run: in 1874, after the Richelieu Company had rejected amalgamation with him, Allan sold the Union Navigation Company two more steamers. A year later the Richelieu Company, with its revenues plummeting, was forced to accept amalgamation with the Canadian Navigation Company to form the Richelieu and Ontario Navigation Company. Both Hugh and Andrew Allan were directors of the new company and Hugh was president for six years. He continued his efforts to minimize competition in the St Lawrence valley. Lengthy negotiations and a sham bankruptcy by the Chambly and Montreal Navigation Company led to its purchase by the Richelieu and Ontario Navigation Company. The St Lawrence Steam Navigation Company, owned by the powerful Molson family, was a more formidable competitor and Allan settled for traffic arrangements with it. In 1879 his friends in the Conservative party, Macdonald and Charles Tupper*, arranged for the lowering of government tolls and the removal of boulders near the Richelieu and Ontario’s Saint-Lambert docks. Despite mergers, consolidation, and government favours, business was not good and by 1878 the company’s dividends had fallen to 2.5 per cent. There had been grumblings in 1876 about Allan’s actions as company president, the wide distribution of free passes, the misuse of company funds, and the Allan family’s growing monopoly of trade on the St Lawrence. 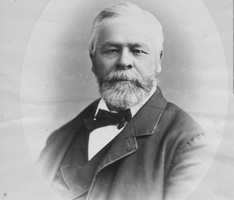 Louis-Adélard Senécal, a well-known Quebec City entrepreneur, received growing support for his plan to incorporate the Richelieu and Ontario Navigation Company and the Quebec, Montreal, Ottawa and Occidental Railway into a new, integrated transportation system in the lower St Lawrence valley. Senécal and his companies quietly bought up Richelieu and Ontario shares and just a few months before Allan’s death succeeded in ousting him from the board. Hugh Allan displayed an early and persistent interest in banking and credit institutions. 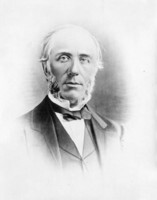 While still in his thirties he became a director of the Bank of Montreal and remained on the board for ten years (1847–57). In 1856, in addition to 204 shares in the Bank of Montreal, he had shares worth £8,000 in the Commercial Bank of Canada, £1,000 in the Bank of Upper Canada, and £2,020 in the City Bank of Montreal. He was a director of the Montreal Credit Company (1871), held 100 shares in the Maritime Bank of the Dominion of Canada (1873), and was president of the Provincial Permanent Building Society (1871) which became the Provincial Loan Company in 1875. His most important banking endeavour began when, as a source of capital and to service his financial needs, he established the Merchants’ Bank of Canada. Run as a family business, it was chartered in 1861 but did not open until 1864. Allan was routinely elected president until 1877 and then was re-elected president in 1882. 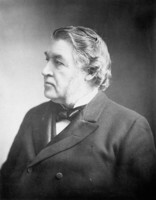 Andrew Allan, who was on the board from 1861 to 1883, succeeded his brother as president in 1882 and their brother-in-law, Jackson Rae, was the bank’s first cashier. In 1868 Hugh, the bank’s largest shareholder, held 2,658 of its 12,176 shares while Andrew had 875 shares. By the late 1870s, however, there were other large shareholders in the bank, such as Robert Anderson whose 5,042 shares held in 1878 exceeded the combined holdings of the Allans. The Merchants’ quickly established a reputation as one of Canada’s most aggressive banks. Allan reported immediate and growing profits that averaged 10 per cent of the bank’s paid-up capital: $30,502 in the first year of operation, $100,671 in 1867, and $726,120 in 1871. In 1868 the Merchants’ took over Kingston’s floundering Commercial Bank of Canada. According to Allan, who had been a Commercial Bank shareholder and handled the negotiations, it had liabilities of $1,170,960 and assets of $2,666,680, much of the latter being in stocks and bonds of doubtful value. Allan’s offer of one Merchants’ share for three Commercial shares was accepted; the takeover gave the Merchants’ Bank 17 branches in the important Ontario hinterland and expansion in Ontario was rapid. In Quebec, however, the bank was hesitant to move beyond Montreal; in 1871 it had only two branches in Quebec outside Montreal, but there were 22 Ontario branches, 16 in towns of less than 5,000 inhabitants. By the mid 1870s the bank had opened a branch in London, England, had nine employees in New York, and had built a fine head office of Ohio stone on Montreal’s Place d’Armes. In 1877 the Merchants’, by then Canada’s second largest bank, nearly collapsed and it became clear that the handsome profits announced annually by Allan had been achieved by carrying losses forward. The bank was further weakened by sloppy inspection procedures and loans administration, over-expansion into small Ontario towns, and heavy losses on the New York gold market and on two major investments. From the Commercial Bank it had inherited Detroit and Milwaukee Railway bonds with a face value of $1,735,350. These bonds matured in 1875 but the bank was unable to redeem them for even 20 per cent of their face value. The bank made another questionable investment in May 1876 when Allan told the board that the bank had bought at par £4,185,333 of a Quebec government bond issue necessitated by the bankruptcy of Allan’s Montreal Northern Colonization Railway and its sister project, the North Shore Railway. Faced with the reluctance of British financiers to invest in Canadian securities outside the public sector and the collapse of the province’s two most important railway projects, the government had little choice but to raise construction money itself. Although Allan assured a worried bank stockholder that the loan to the province was “mutually advantageous,” the bank’s London manager reported that it would be “impossible” to place the Quebec bonds on the London market, even at 95 per cent of their face value. In February 1877 Allan resigned as president because of what he called “absurd rumours” and “senseless” clamour raised by “a few interested Brokers, and by personal enemies of mine.” The new president, John Hamilton, moved quickly to save the bank. The Bank of Montreal and the Bank of British North America lent the Merchants’ $1,500,000 on the guarantee of the directors’ promissory notes, and a new general manager, George Hague, was hired from the Bank of Toronto. He wrote off $113,143 for losses in the Montreal office, $222,611 on branch losses, a $198,704 loss in the New York office, $633,000 in bad debts, $305,196 on the Detroit and Milwaukee bonds, $553,000 on losses in other securities, and $223,991 “from unanticipated difficulties in placing the [Quebec government] loan on the London Stock Exchange.” Allan exhibited remarkable resilience by regaining the presidency of the bank in 1882. His dealings with the Merchants’ Bank show how he constructed a complex commercial and industrial empire by constantly expanding his interests. The telegraph was a natural adjunct to his steamship and rail communication. 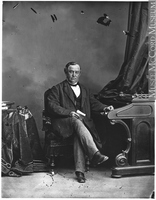 Allan was associated with the Canada Atlantic Cable Company, was president of the Montreal Telegraph Company (1852), and was a director of two American companies, the Troy Telegraph Company and the Western Union Telegraph Company. 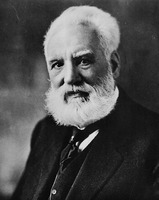 He was also an early participant in the development of the Canadian telephone industry; in 1878, using lines installed by the Montreal Telegraph Company, he made one of the first Canadian long-distance telephone calls, from Montreal to Princess Louise in Ottawa. Of more importance were the lengthy negotiations of the newly established Bell Telephone Company with Allan, resulting in its purchase of the Montreal Telegraph Company’s “telephone plant” for $75,000. Allan was active in other transportation sectors that were directly related to his shipping interests: warehousing, elevator, station, bridge, and tunnel companies. President in 1870 of the Montreal Warehousing Company (established in 1865 to erect sheds and warehouses), which held its board meetings in the offices of the Montreal Ocean Steamship Company, he was also a director of the Montreal Railway Terminus Company (1861), the Canadian Railway Station Company (1871), and the St Lawrence International Bridge Company (1875). As his dealings with the Grand Trunk illustrate, Allan knew the importance of the American Midwest. With prominent Americans James Frederick Joy and Henry Porter Baldwin of Detroit and Nathaniel Thayer of Boston, as well as important Canadian investors such as George Stephen* and William McMaster, Allan was on the incorporating board of the Detroit River Tunnel Company in 1870. Five years later, with four Montreal merchants (including his brother Andrew), he chartered the St Lawrence and Chicago Forwarding Company. Allan also participated in at least five insurance companies. As well as an important source of capital, these companies provided fire and marine-loss protection for his interests. His entry into injury and life insurance for his workers allowed him to recoup a percentage of wages and may have been a reaction to the development of provident societies and other working-class protective organizations. He was associated with three marine insurance companies: he was a founding director of the Marine Mutual Assurance Company of Montreal in 1851, of the Canada Marine Insurance Company in 1868, and 14 years later (with Andrew) of the St Lawrence Marine Insurance Company of Canada. His most important insurance operation, however, was incorporated in 1864 as the Citizens’ Insurance and Investment Company (after 1876 as the Citizens’ Insurance Company of Canada). Hugh Allan was its first president and Andrew was a perennial member of the board. Citizens’ bonded the employees at the Merchants’ Bank and provided fire insurance for Hugh’s companies. His stevedores on the Montreal docks had one per cent of their pay deducted for compulsory accident insurance with the company, which covered only “on-the-job” injuries and did not apply to sickness. Permanently injured employees received $5 a week, and in the event of death $500 was paid to the family. In 1872 Allan was listed as a director of the Canada Life Assurance Company and was named in the charter of the Manitoba Insurance Company. That same year Andrew was a director of the Confederation Life Association. Manufacturing in Montreal took off in the period from 1861 to 1881 and Allan was active in organizing capital for dozens of companies in cotton and wool textiles, shoemaking, iron and steel, tobacco, and paper. The vehicle for the increasing concentration of capital was the developing business institution, marked by the separation of management and ownership and by the advent of the stock market. In textile production as in many other instances, Allan had the capital to get in on the ground floor, and he was able to benefit after 1878 from the National Policy. Canadian textile production had risen dramatically between 1861 and 1871, and grew even more sharply after 1878 when the tariff on woollen goods was doubled and the tax on imported cotton increased from 17.5 to 30 per cent. With tariff protection the value of Canadian cotton production tripled in four years to $1,753,500 in 1884. Allan was president of the Cornwall Woollen Manufacturing Company and owned 165 shares in the Ontario Woollen Company. 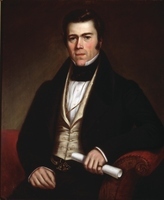 George Stephen – fellow Scot, president of the Bank of Montreal, and the city’s leading wholesale merchant – had interested Allan in cotton textiles and the two financiers capitalized on the willingness of Cornwall, Ont., to subsidize textile production. Allan became president of a Cornwall firm, the Canada Cotton Manufacturing Company, in 1872, and was an incorporator of the Stormont Cotton Manufacturing Company eight years later. He had also helped found the Montreal Cotton Company in Valleyfield, Que., in 1874. With dividends of 11 per cent in 1880, 20 per cent in 1881, and 14 per cent in 1882, Montreal Cotton stock sold at a premium of up to 60 per cent in 1881–82. Profits were high but working conditions in the cotton mills were notorious. Allan, never noted as a model employer, was more concerned with profit than with the welfare of his employees, and his cotton mills were the subject of complaints concerning wages, drinking water, child labour, and industrial accidents. Weavers in the Canada Cotton and Stormont Cotton mills were paid $5 a week in 1888 and a dyer in Cornwall was paid $1.25 a day. In the Montreal mill ten-year-old children worked barefoot through the winter. Allan took an early interest in the production of iron, steel, and rolling-stock. Impressed by the efforts of Toronto and Hamilton manufacturers to satisfy the Grand Trunk’s needs, he and Stephen exhorted Montreal merchants in 1870 to show “enterprise and energy” by investing in the Canada Rolling Stock Company. Allan was also a director of the Canadian Railway Equipment Company (1872) and the Ontario Car Company (1882), and with Peter Redpath and Stephen he owned the Montreal Rolling Mills. Specializing in nails, tacks, and pipe, this company, one of the four largest ironworks in Quebec, declared a 7 per cent dividend in 1878. The interruption of American tobacco imports during the Civil War had given a boost to tobacco manufacturing in Montreal, and Allan served as president of the Adams Tobacco Company (1882). Pulp and paper was another growth industry, doubling its production twice between 1861 and 1881. Allan was a director of the Canada Paper Company, one of the first industrial companies to be listed on the Montreal Stock Exchange. A cheap labour base, access to capital, and improved transportation systems contributed to the rapid growth of shoemaking in Montreal in the decade 1861–71, the value of production rising from one to nine million dollars. Hides came from the west, tanning was done in Quebec City, and the finished leather was sent to Montreal. 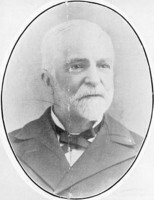 Allan was president (1882) of the Canadian Rubber Company of Montreal, one of the oldest shoe and boot makers in Montreal. Allan was also active in exploiting natural resources such as land, fish, and mining. His interest in western land speculation may have developed from his Pacific railway project and the western operations of the Merchants’ Bank. President of the Montreal and Western Land Company, he visited western Canada just a few months before his death in 1882. In that year he was also president of the North-West Cattle Company and the Canada and Newfoundland Sealing and Fishing Company. An active mining speculator, he was an original shareholder in the Montreal Mining Company founded in 1847. By 1855 the company was plagued with stock manipulation, haphazard bookkeeping, unwarranted dividends, and a debt of £19,340 to the Commercial Bank. In addition, that year the company was implicated in a scandal involving the transfer of 200 shares of stock to John Ross*, former attorney general of Canada West and president of the Grand Trunk Railway. Arranged by Cartier, Ross’s quick profit of £1,000 was apparently necessary to facilitate the location of a county court-house at the site of a company mine in the Bruce Peninsula. Allan was furious at the deal which had not been entered on the company’s books. He denied being the mysterious purchaser of the stock Ross obtained and, after leading an investigation which found “extreme irregularity,” he resigned as president. 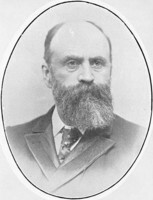 Also associated with the Mulgrave Gold Mining Company, Allan was a director of the Vermont and Canada Marble Company and president of the Thunder Bay Silver Mining Company (1882). Coal, the primary energy source for steamships, railways, and manufacturing industries, was Allan’s most important mining interest. His investment in Nova Scotia’s Pictou mines rose rapidly in the 1860s and he was the only Canadian director in 1865 on the founding board of the New York–based Acadian Coal Company. In 1873 he was involved in the establishment of the Vale Coal, Iron and Manufacturing Company. President of the company until his death, he placed the head office in Montreal and used $300,000 of his Merchants’ Bank stock as collateral to construct the company’s railway, wharf, surface plant, and miners’ houses: his son Hugh Montagu Allan* later inherited the company presidency. The National Policy again benefited Allan. Its tax of 50 cents a ton on imported coal allowed the Vale Coal Company to retain large Montreal coal consumers such as the North American Glass Company and the New City Gas Company of Montreal (later the Montreal Gas Company). Allan, in addition to land held by his companies, owned a substantial amount of property himself. By 1872 his holdings included Ravenscrag (his 609,260-square-foot estate on Mount Royal) and the 79,260-square-foot site of his former home on Rue Sainte-Catherine on which stood a dozen stores and a music hall. Aside from his summer estate, Belmere, on Lac Memphrémagog in the Eastern Townships, Allan, never a gentleman farmer like his brother Andrew, owned at least four properties on the outskirts of Montreal, each in an area of potential urban expansion. He held a 13,637-square-foot site in Hochelaga (now part of Montreal), a village on the eastern limits of the city, where one of his companies, the Montreal Northern Colonization Railway, proposed to locate its terminus and yards, and 30 acres on Côte Sainte-Catherine (now part of Outremont) on the northern extremity of the city. Near the Lachine Canal he held 79 acres himself plus 8 acres owned jointly with Robert James Reekie, with whom he also shared 26 acres in Saint-Henri (now part of Montreal), another potential area for manufacturing expansion. Besides his two residential sites Allan owned three properties within the city of Montreal, including an 11,637-square-foot site in the west-end ward of Saint-Antoine. He held two properties in the business core, a 9,553-square-foot property in the Place d’Armes banking district (probably the site of the Merchants’ Bank) and a 26,850-square-foot site on McGill Street where his shipping company had its head office. Although he was astute in obtaining what he wanted from governments, Allan’s political influence was largely behind the scenes. Indeed, he apparently did not consider the act of voting to be of great importance, noting in 1873 that he had voted in only one parliamentary election. 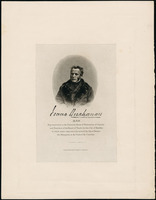 He had, however, volunteered for military service in the rebellions of 1837–38, reaching the rank of captain, and in 1849 he was a prominent anti-annexationist. 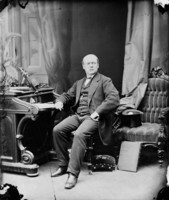 A lifelong Conservative, he directed some $400,000 to the party’s federal campaign in 1872 while pursuing the Pacific contract; his lawyer noted that Conservative policies were so favourable to Allan’s interests that a contribution three times as large would have been justified. Campaign contributions were only one means of manipulating politicians: George-Étienne Cartier’s constituents needed jobs in Allan’s proposed railway shops, Francis Hincks’s son wanted a position in the bank, and politicians sailed on Allan’s ships and danced at his parties. Controlling Canada’s second largest bank increased his political power. The Merchants’ Bank made loans to the provinces of Manitoba and Quebec, and to the city of Winnipeg. Favoured politicians were named by head office as solicitors for local branches and ex-finance minister John Rose became the bank’s London solicitor. 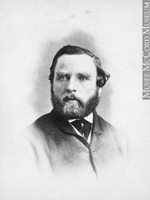 Future prime minister J. J. C. Abbott had a $1,000 annual retainer as the bank’s Montreal lawyer in 1866. Sir Charles Tupper and Sir John A. Macdonald became special solicitors for the Winnipeg branch in 1883. Even more dramatic evidence of the link between the state, politics, and business is provided by politicians who were among the Merchants’ debtors. Although John Hillyard Cameron*’s large debt was the subject of board discussions in February 1870, Macdonald was probably the bank’s most prominent debtor and it seems clear that the prime minister granted favours to his creditors. Macdonald and Allan had apparently not corresponded before 1868 when the Merchants’ Bank inherited the former’s debt of almost $80,000 to the Commercial Bank. Soon after, Allan jogged Macdonald’s memory: “when quite convenient I will be glad to receive your proposals for settlement.” Before settling his debts Macdonald did his best to cater to Allan. He helped him get favourable provincial legislation from Quebec, informed him of cabinet discussions on lighthouses, and accepted his choice as emigration agent, assuring him that the new agent would be as “friendly as possible” to his steamship operations. In November 1869 Macdonald asked the bank to accept the property held as collateral and his life insurance policies as payment. When the bank accepted these terms he wrote to Allan thanking him for his “kindness” and added that Francis Hincks was at work on banking policy. In February Macdonald apologized for not giving Allan’s Montreal Telegraph Company a monopoly on government business; according to Macdonald it was “impolitic” to raise the matter. Despite the Pacific Scandal, the two men remained in touch. Allan wrote to Macdonald in 1878 asking for tariffs on rubber goods, shoes, hose, sewing machines, cottons, woollen goods, coal, and wrought iron. Although a member of a Scottish shipping dynasty Allan never let ethnicity dominate over business sense. Dozens of Scots such as William Dow, George Burns Symes, and John Redpath* shared boardrooms with him, but others such as David Lewis Macpherson and John Young* never hesitated to sabotage his projects. The latter was perhaps Allan’s most persistent opponent. They were members of two competing bourgeois groups in Montreal and their political and economic quarrels spanned a 25-year period. 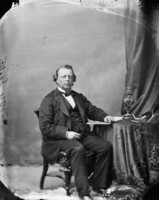 Young, as commissioner of public works, played a major role in blocking Allan’s application to provide steamship service between Montreal and Liverpool in the early 1850s. A vociferous Liberal by the late 1860s, Young enraged Allan by attacking public subsidies to his railways and by advocating free trade with the United States. 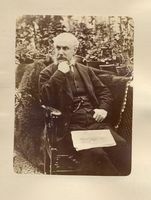 Allan, a manufacturer and protectionist, complained to the prime minister about Young’s “annexationist” ideas. In 1873, however, he repaid old debts when the Merchants’ Bank refused a $6,000 loan to the bankrupt Young. Nor did he show special leniency to other errant Scottish friends. 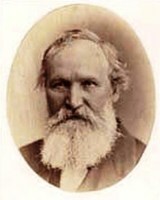 Isaac Buchanan, a prominent Hamilton wholesaler, railway entrepreneur, and politician, owed Allan’s bank $55,000 in 1872. Over a four-year period Buchanan tried, apparently without success, to ease the terms: his wife reminded Allan of their common heritage and Buchanan made courtesy calls to Allan’s home and sent condolences on the death of his brother. As his interests spread across the continent Allan chose partners who brought him capital, local or ethnic prestige, political influence, or technical expertise. Allan’s accumulation of wealth, climaxing in an estate estimated at between six and ten million dollars, enabled him, his family, and his heirs to live in privileged circumstances. The Allans hosted governors general and royalty, had 11 “live-in” domestics in their Montreal residence, and owned a private steam yacht, Lady of the Lake, for summer use on Lake Memphrémagog. In 1860 Allan had bought the Simon McTavish* estate on the slopes of Mount Royal and over the next three years built Ravenscrag, the mansion which in the opinion of one editorialist surpassed “in size and cost any dwelling-house in Canada, and looks more like one of the castles of the British nobility than anything we have seen here.” Designed in Italian Renaissance style by the architectural firm of Hopkins and Wiley, the mansion’s 34 rooms included a billiard room, a conservatory, a library, and a ballroom that could accommodate several hundred guests. From the 75-foot tower there was a fine view of the city, the port, and the distant Green Mountains of Vermont. Little is known of Allan’s personality or private life. Apparently a handsome man, he appears in photographs as a short, somewhat stocky individual with a full beard and moustache that offset his mid-life baldness. 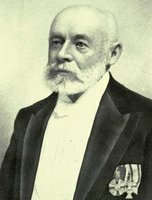 He was a member of the Tandem Club and the Montreal Citizens’ Association (1868), an honorary member of the North British Society of Halifax (1871), and president of the St Andrew’s Society (1848–50). 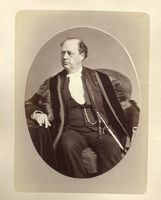 A curler, presumably of some ability since he was named skip in 1852, he served as president of the Montreal Curling Club in 1846–47 and 1874–75. 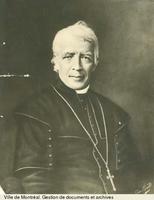 Described by his minister as a man of “little sentiment” who believed that “religion consisted mainly in a man doing his duty,” Allan was accorded accolades and individual honours from the clergy, the military, and the crown: a Montreal-area priest described him as “a new Hercules,” he was named a lieutenant in the Montreal 3rd Battalion (1847), and he was knighted by Queen Victoria’s own hand in England in 1871. His philanthropic activities seem restricted for one of his wealth and rank although it is not clear if this was typical of his Montreal peers. A lifelong Presbyterian, he attended St Gabriel Street Church and later St Andrew’s Church. He served as the Presbyterian representative on the board which divided the clergy reserves, and was chairman of the church’s temporalities board in the 1870s. 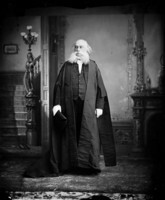 He made minor donations, usually through his wife, to the Montreal Ladies’ Benevolent Society and the Protestant Orphan Asylum, but his major philanthropic activity was the Montreal Sailors’ Institute, of which his brother was president (1872) and of which the Allans were the primary patrons. 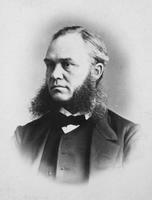 Hugh did become a lifetime governor of the Montreal Protestant House of Industry and Refuge after making a $500 contribution in 1863, and he was a member of the first board of the Protestant Hospital for the Insane (1881). In 1882, the year after his wife’s death, Allan died of a heart attack while visiting his son-in-law in Edinburgh. The body of the “deceased knight” was returned to Montreal, placed in a highly polished oak coffin with silver handles, and laid out in Ravenscrag. The funeral, held on 27 Dec. 1882, caused the closing of the stock exchange for the afternoon. The hearse, preceded by a squad of city police and a detachment of firemen, was followed by his family; political, commercial, and industrial luminaries; “employees from the manager down to the workers on the wharves”; and some 2,000 citizens. After the service in St Andrew’s, Allan was buried beside his wife in the family mausoleum in Mount Royal Cemetery. It was symbolic that he should die in the land of his birth and be buried with honour in his country of adoption. A member of an important Scots shipping family, he had been trained by his father’s colonial associates and, as a young man, promoted to partnership in a prominent Montreal merchant house. 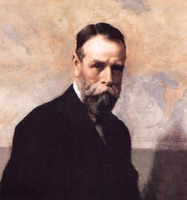 His operations were characterized by internationalism: he did business in London, Liverpool, Glasgow, New York, and Chicago; he transferred the ships he purchased from Canada to Scotland; and his Merchants’ Bank had some of its most profitable activities in New York. At the same time, able in many instances to exploit both French and English Canadian nationalism, he remained a staunch anti-annexationist. Combining capital, international ties, and a willingness to invest in new forms of transportation, he had built Canada’s most important steamship company. He increased his company’s power by carefully attending to the protection of markets, soliciting favourable legislation, obtaining subsidies, and limiting competition. From his shipping base Allan expanded vigorously into the industrial economy which developed after 1860, exploiting Montreal’s growing metropolitan strength and widening markets brought by the transportation revolution. With improved technology, the increasingly bureaucratic nature of business, and the revised political structures of confederation, he became one of Canada’s first monopoly capitalists. Despite some false starts and without the rationalization of later industrial organization, Allan developed an integrated financial, transportation, and manufacturing empire. His ships carried immigrants, his factories hired them and made the material for their clothes, his land companies sold them land, and his finanical agencies insured them and lent them money. Capital was the key. Perhaps the most knowledgeable Canadian entrepreneur in the use of subsidies and public capital, he could tap both long- and short-term funds from his contacts in commercial banks, savings banks, insurance companies, and mortgage cooperatives. Rather than being just a model Canadian entrepreneur who profited in systematic fashion from the economic opportunities offered by Canada, Allan emphasized the importance of capital – and not management or technical skills – as the central factor in permitting the exploitation of emerging economic sectors in mid-19th-century Canada. AC, Montréal, État civil, Presbytériens, St Andrew’s Church (Montréal), 27 Dec. 1882. Allan Memorial Institute of Psychiatry, McGill Univ. (Montreal), “The Allan Memorial Institute of Psychiatry: its history and foundation” (unpub. paper, n.d.). ANQ-M, Minutiers, James Smith, 27 May 1861; Testaments, Reg. des testaments prouvés, 13, 28 déc. 1882. AO, MU 500-15; MU 2095, John McLennan, “The early settlement of Glengarry.” Baker Library, R. G. Dun & Co. credit ledger, Canada, 5: 61. Montreal Business Hist. Project (Montreal), J. Hutchison and P. Orr, “A study of Presbyterianism in Montreal, 1792–1850” (1979). PAC, MG 24, B25; D16; MG 26, A; MG 27, I, D11; MG 28, II3; MG 29, C37; RG 31, A1, 1871, Montreal, Saint-Antoine Ward. QUA, Canada Steamship Lines Ltd. records, La Compagnie du Richelieu, Procès-verbaux, 1869–75; Richelieu and Ontario Navigation Company, Minutes, 1875–81. ... Allan Line Steamship Company, Information & advice for emigrants (Liverpool, 1878). Can., House of Commons, Journals, October–November 1873, app.I; Parl., Sessional papers, 1875, VI, no.7; VII, no.22: 236–67; 1878, IX, no.15: 169–208; Royal Commission on the Relations of Capital and Labor in Canada, Report (5v. in 6, Ottawa, 1889); Royal Commission on the Textile Industry, Report (Ottawa, 1938). Can., Prov. of, Legislative Assembly, App. to the journals, 1852–53; Statutes, 1852–53. Extract of the official book of reference of the city of Montreal; west division: St. Antoine’s Ward, ed. L.-W. Sicotte (Montreal, 1870). Extract of the official book of reference of the parish of Montreal . . . , ed. 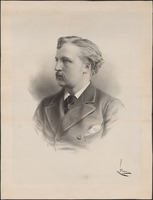 L.-W. Sicotte (Montreal, 1872). Montreal Board of Trade, Correspondence relating to ship channel in River St Lawrence . . . (Montreal, 1871). Montreal Sailors’ Institute, Annual report (Montreal), 1871–72. Narrative of the proceedings of the St. Andrew’s Society, of Montreal, from its formation on the 9th March, 1835, until the 1st January, 1844, to which is appended lists of the officers, members, and the constitution of the society (Montreal, 1855). Alfred Sandham, Ville-Marie, or, sketches of Montreal, past and present (Montreal, 1870). Canadian Illustrated News (Montreal), 1872. Le Franc-Parleur (Montréal), 4 août 1876. Gazette (Montreal), 1838–82. Globe, 1882. Le Journal des Trois-Rivières, 1870. La Minerve, 1852–73; 14, 15 févr. 1882. Le Monde, 1875, 14 févr. 1882. Montreal Daily Star, 3 Aug. 1876; 15 June 1878; 4, 7 Feb., 9 Dec. 1882. Montreal Daily Witness, 13 Feb. 1872. Montreal Herald and Daily Commercial Gazette, 1881–82. Montreal Witness, 1871; 8, 15 Feb.; 18 Dec. 1882. Morning Chronicle (Quebec), 1870–82. Le Négociant canadien (Montréal), 1871–74. La Patrie, 11 déc. 1882. ... Canadian biog, dict., II. Dent, Canadian portrait gallery, II. C. P. deVolpi and P. H. Scowen, The Eastern Townships: a pictorial record; historical prints and illustrations of the Eastern Townships of the province of Quebec, Canada (Montreal, 1962). H. W. Hopkins, Atlas of the city and island of Montreal, including the counties of Jacques Cartier and Hochelaga, from actual surveys, based upon the cadastral plans deposited in the office of the Department of Crown Lands ([Montreal], 1879). Montreal directory, 1842–82. North British Soc., Annals of the North British Society of Halifax, Nova Scotia, for one hundred and twenty-five years . . . , comp. J. S. Macdonald (Halifax, 1894). Notman and Taylor, Portraits of British Americans, II. The year book and almanac of Canada . . . (Montreal), 1870. H. G. J. Aitken, The Welland Canal Company: a study in Canadian enterprise (Cambridge, Mass., 1954). T. E. Appleton, Ravenscrag: the Allan Royal Mail Line (Toronto, 1974). Pierre Berton, The national dream: the great railway, 1871–1881 (Toronto and Montreal, 1970); The last spike; the great railway, 1881–1885 (Toronto and Montreal, 1971). F. C. Bowen, A century of Atlantic travel, 1830–1930 (Boston, 1930). J. M. Cameron, The Pictonian colliers (Halifax, 1974). Campbell, Hist. of Scotch Presbyterian Church. Creighton, Macdonald, old chieftain. Currie, Grand Trunk Railway. Denison, Canada’s first bank, II. Luc d’Iberville-Moreau, Montréal perdu, Michel Beaulieu, trad. ([Montréal, 1977?]). E. C. Moodey, The Fraser-Hickson Library: an informal history (London, 1977). R. T. Naylor, The history of Canadian business, 1867–1914 (2v., Toronto, 1975), II. D. G. Paterson, British direct investment in Canada, 1890–1914 (Toronto and Buffalo, N.Y., 1976). The Royal Montreal Curling Club, 1807–1932 (Montreal, 1932). Joseph Schull, 100 years of banking in Canada: a history of the Toronto-Dominion Bank (Toronto, 1958). O. D. Skelton, The life and times of Sir Alexander Tilloch Galt (Toronto, 1920; repub., ed. Guy MacLean, 1966). Alastair Sweeny, George-Étienne Cartier: a biography (Toronto, 1976). Tulchinsky, River barons. William Weir, Sixty years in Canada (Montreal, 1903). ... Pierre Berton, “A priceless photo collection finds a home: Maclean’s marks the hundredth anniversary of William Notman by helping to house his famous collection at McGill and make half a million irreplaceable portraits and views available to scholars,” Maclean’s (Toronto), 69 (1956), no.24: 15–27, 78–82. “‘Ravenscrag’: the historic residence of Sir Montagu and Lady Allan presented to the Royal Victoria Hospital,” Montreal Daily Star, 14 Nov. 1940. J.-C. Robert, “Les notables de Montréal au XIXe siècle,” SH, 8 (1975): 54–76. Brian J. Young in collaboration with Gerald J.J. Tulchinsky, “ALLAN, Sir HUGH,” in Dictionary of Canadian Biography, vol. 11, University of Toronto/Université Laval, 2003–, accessed April 22, 2019, http://www.biographi.ca/en/bio/allan_hugh_11E.html.